The designations French and English for the suites are not Bach's own, and really have no descriptive significance. During the 30 years after Bach's death, when the works circulated widely in manuscripts, the French Suites were often thus described to distinguish them not only from the set of six English Suites (also written in the French style) but also from the grander set of six Partitas. 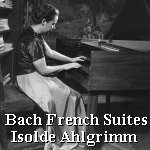 During Bach's own lifetime, the French Suites seem to have been known simply as the "Little Suites", no doubt owing to the fact that they do not have long opening preludes, as do the English Suites and the Partitas. The English Suites were apparently written in the early 1720s, and were copied out in 1725; the first suite is simpler in form, and probably dates from c.1718. The title "English" continues to be mysterious; according to older sources it was derived from an English commission for these works, but this has never been verified. 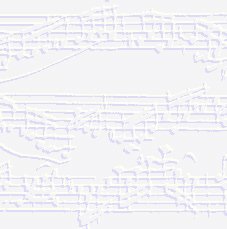 The Suites in both the French and the German sets consist of the standard four dance movements (allemande, courante, sarabande, gigue) with additional short movements between the sarabande and gigue; each of the English suites opens with a prelude. 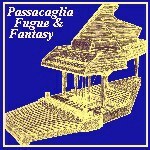 Some of these preludes illustrate particularly well the skill with which Bach transferred Italian ensemble forms to the keyboard: the prelude to the third English suite, for example, is a concerto Allegro movement with alternating tutti and ritornellos. Isolde Ahlgrimm was born in Vienna at the beginning of World War I, July 31st, 1914. 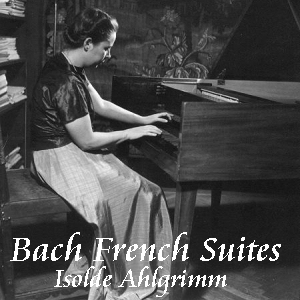 Initially taught by her mother, Camilla, a good professional pianist, Isolde Ahlgrimm had been recognised from an early age as a genuine prodigy, a virtuoso pianist for whom a brilliant future was predicted. At the age of seven she entered the Vienna Music Academy and obtained her diploma in 1932, having studied with Vienna's most prominent teachers, including Emil von Sauer, a favourite pupil of Franz Liszt. 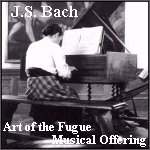 She quickly adopted baroque music, and the harpsichord, as her specialty, adding an organ-type pedalboard, not only for organ practice, but to achieve many of the longer handspans demanded by Bach, and to add bass emphasis whenever the music so demanded. 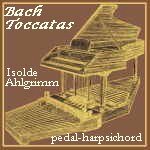 Borrowing the title from a series of keyboard pieces by CPE Bach, Concerte füsr Kenner und Liebhaber, Isolde instituted a series of concerts on the fortepiano, an instrument which at that time had fallen into neglect. The Wiener Neueste Nachrichten, February 26, 1937, reported: "The first concert for connoisseurs and amateurs must be emphasised to be something entirely special. It succeeded in moving to enthusiasm the discerning Viennese musical public. Isolde Ahlgrimm, who has already achieved notable success on the modern piano, brought to the hammerklavier great ability and fine musicianship. Her technique, personality and appearance are as though made for this instrument." 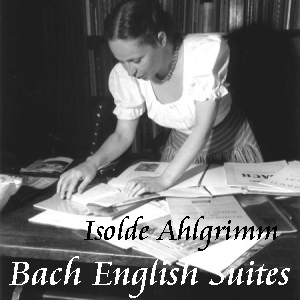 Her influence was to have a long-lasting effect: Peter Watchorn, Isolde Ahlgrimm's last student and biographer, was told recently by Paul Badura Skoda that it was his and Jorg Demus' attendance at one of Isolde's Mozart Cycle concerts in 1949 that convinced them to take up the fortepiano. She then moved on to institute a series of concert-lectures featuring the harpsichord, playing the complete works of JS Bach, always from memory.